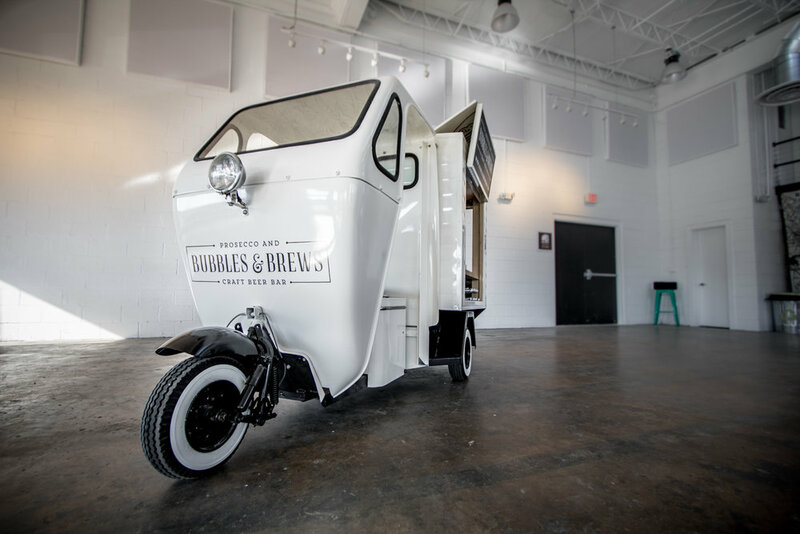 It's true, we have a 1959 three wheeled mini-truck that was converted into a vintage mobile prosecco van and craft beer bar. Small enough to drive through a set of double doors, this bar is just as comfortable inside or out. We call her Bubbles & Brews. 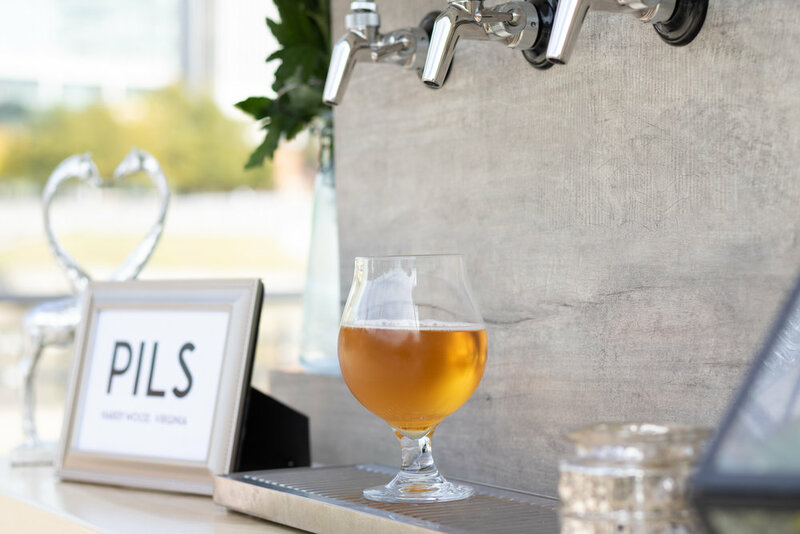 It has four taps to pour perfectly chilled prosecco and craft beer at your special event. Whether its a wedding, executive entertainment, employee or personal or client party it compliments every occasion. 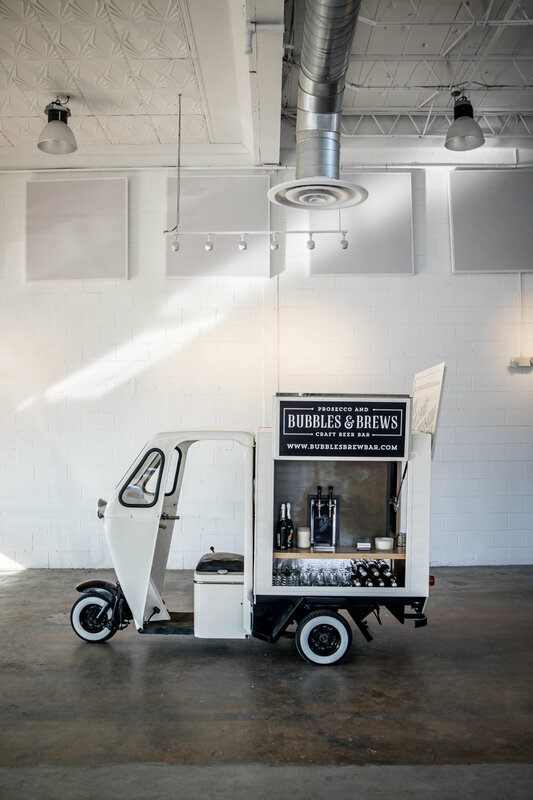 The Bubbles & Brews Prosecco & Craft Beer Bar is the memorable alternative to keg party pumps, tubs of ice with jockey boxes on folding tables, Pourbox beer trailers and beer truck rentals for your event. 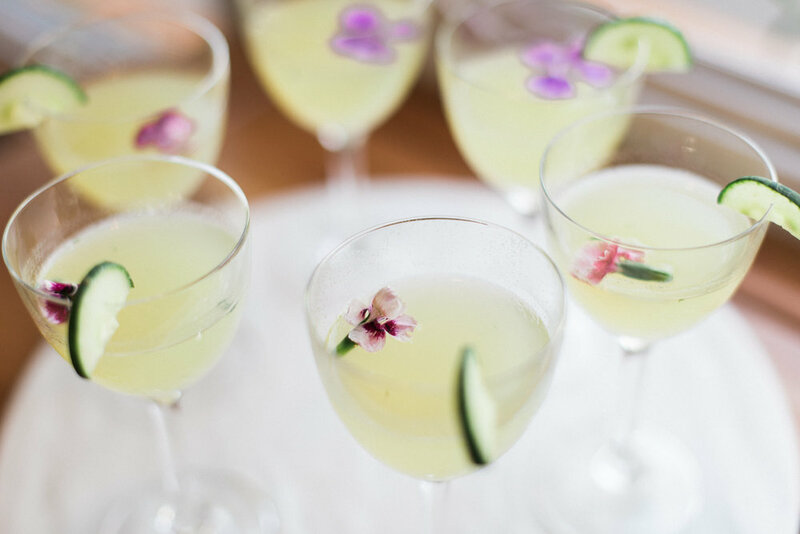 The truth is all of your guests will interact with the bar. 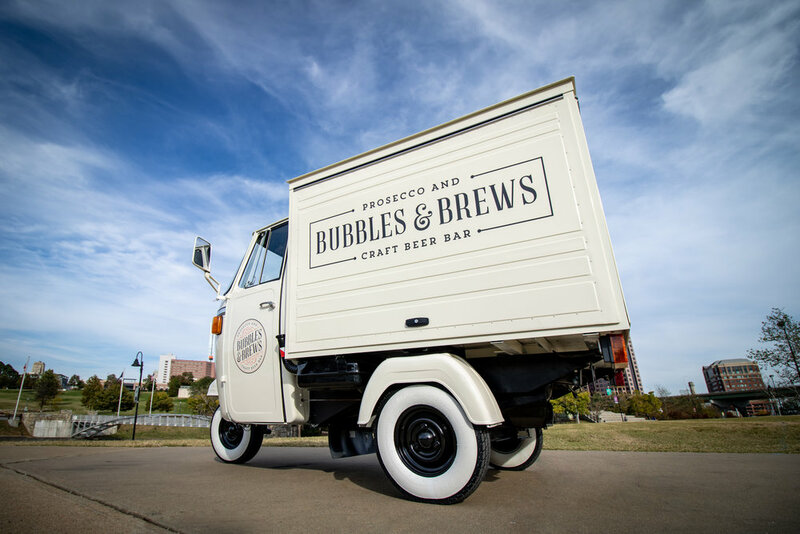 So make that interaction something to remember with the Bubbles & Brews Prosecco Van and Craft Beer Truck. A vintage mobile bar from is a memorable alternative to keg party pumps, tubs of ice with jockey boxes on folding tables, Pourbox beer trailers and beer truck rentals for your corporate or special event. The truth is all of your guests will interact with the bar and its servers. So make that interaction something to remember with a vintage mobile bar. For your special event we provide a truly unique Cozy Caravan that can be stocked to the hilt and staffed with great bartenders. You provide the alcohol and we take care of the rest. How do oysters on the half shell, specialty craft cocktails, craft beer and wine on tap or bourbon flights sound? If you can imagine it, we can do it. And if it's not 'that' kind of party, we do that too. We have friends that can help fill the Caravan with delicious baked goods, s'mores, gourmet cotton candy and other frozen treats. 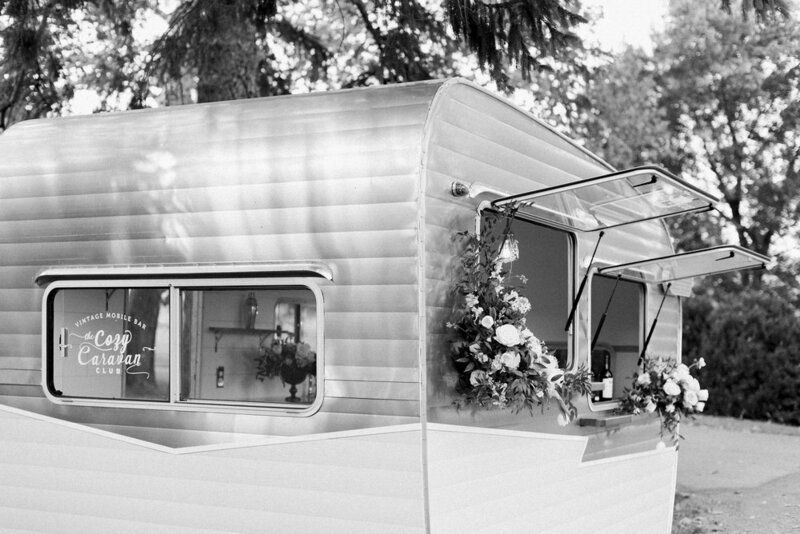 These 1950's style caravan campers are perfect for weddings, VIP experiences, client, employee appreciation and other executive business entertainment and promotional events. And in case your wondering, we play well with others. 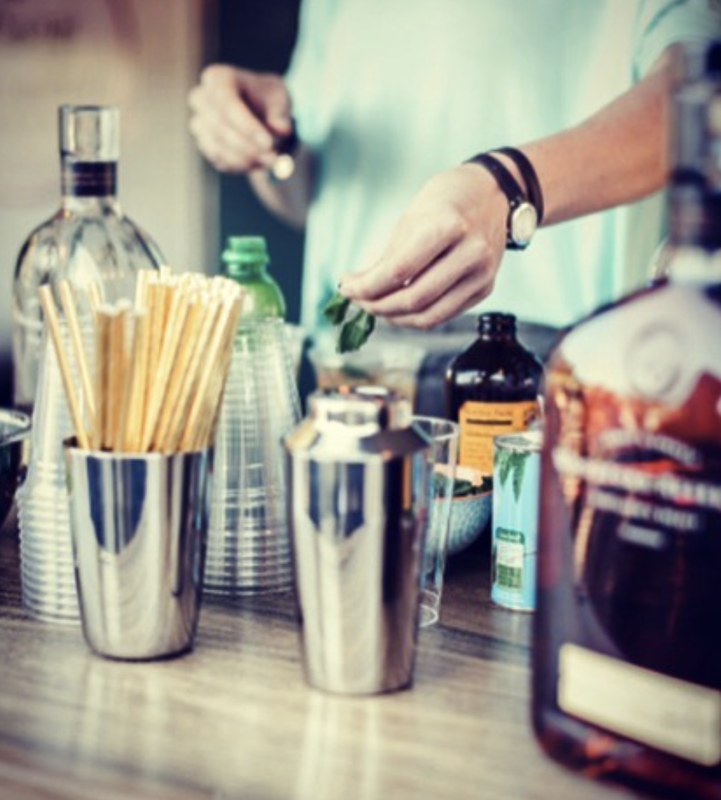 If your venue or caterer requires you to buy alcohol from them and use their bartenders, our bars can still be a part of your special event. We offer Caravan only rentals where we simply drop off the bar and your team takes care of the rest. Fun and memorable experiences. 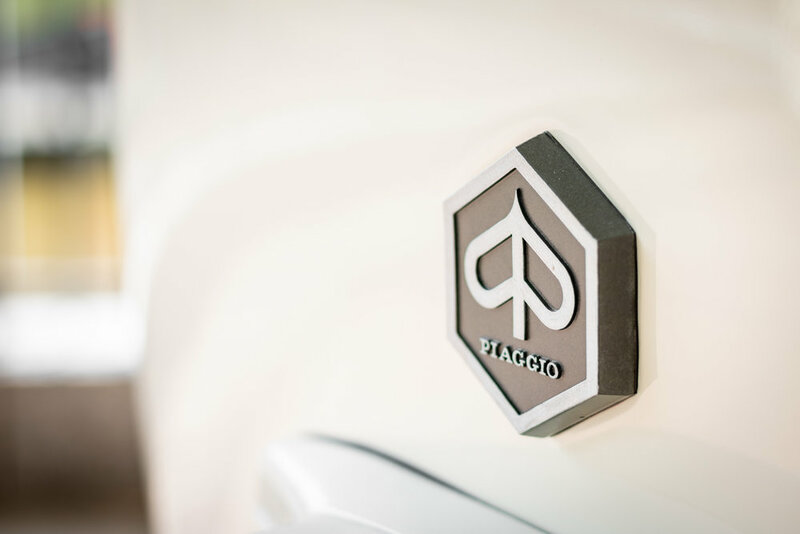 It's inevitable, roll up a 60 year old vintage-inspired camper that's been reimagined into a classically elegant styled bar on wheels and people are going to talk ... and take pictures. It's like a magnet. 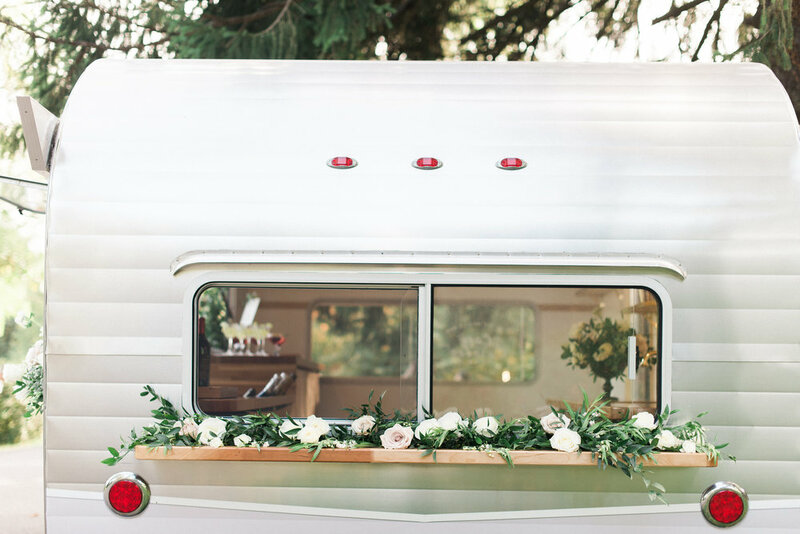 A Get Cozy | Vintage Mobile Bar will be the first thing your guests visit and where you will find them all at the end of the event. We know, a lot of questions. Check out our FAQ page to learn more and then fill out the contact form and we will respond right away. We can't wait to hear all about what you have planned!